This Song's a Killer: The Strange Tale of "Gloomy Sunday"
In Vienna, a teenage girl drowned herself while clutching a piece of sheet music. In Budapest, a shopkeeper killed himself and left a note that quoted from the lyrics of the same song. In London, a woman overdosed while listening to a record of the song over and over. The piece of music that connects all these deaths is the notorious “Gloomy Sunday.” Nicknamed the “Hungarian suicide song,” it has been linked to over one hundred suicides, including the one of the man who composed it. Of course, this might all be an urban legend. One thing’s for sure, though. “Gloomy Sunday’s” composer Rezso Seress did take his life, and the success of his greatest hit may have been a contributing factor. In 1933, the Hungarian-born Seress (née Rudi Spitzer) was a 34-year-old struggling songwriter. Some accounts have him living in Paris, others Budapest. 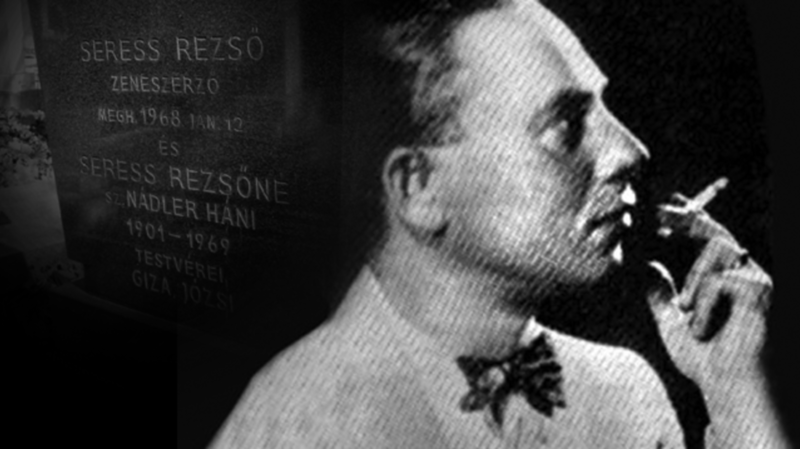 The story goes that after his girlfriend left him, he was so depressed that he wrote the melody that became “Gloomy Sunday.” A minor-key ribbon of blue smoke, the tune was given an equally melancholy lyric - in Hungarian - by Seress’s friend, the poet Laszlo Javor. Some reports claim it was Javor’s girlfriend who left him, inspiring the song as a poem first. Others say that Seress wrote his own lyric, about war and apocalypse, then Javor later changed it to a heartbreak ballad. Whatever the case, “Szomorú Vasárnap,” as it was titled, didn’t make much of a splash at first. But two years later, a recorded version by Pál Kálmar was connected to a rash of suicides in Hungary. The song was then allegedly banned. Short of learning Hungarian and trawling through Budapest newspapers from the 1930s, it is impossible to verify any of this (Hungary does historically have one of the higher suicide rates in the world - approximately 46 out of every 100,000 people take their own lives there every year). But it certainly makes for a juicy story. And it did at the time, too, because music publishers from America and England soon came calling. Tin Pan Alley tunesmith Sam M. Lewis and British theater lyricist Desmond Carter each wrote an English translation of the song. It was Lewis's version, recorded in 1936 by Hal Kemp and his Orchestra, that caught on. In 1941, Billie Holiday recorded the definitive version of “Gloomy Sunday.” Having the hard-living Lady Day associated with the song certainly upped the tragedy ante. Despite conflicting reports, the song was never officially banned in the U.S., though it was in England. In the early ‘40s, the BBC deemed the song “too upsetting” for the public, then later said that only instrumental versions could be played on the radio. In 1984, “Gloomy Sunday” was in the news again, by association, when Ozzy Osbourne was taken to court by the parents of a teen who shot himself while listening to the rocker’s song “Suicide Solution.” In 1999, a German film, Ein Lied von Liebe und Tod (Gloomy Sunday - A Song of Love and Death), told the story of a doomed love triangle and a song that triggered a chain of suicides. And in recent years, the song has been recorded by such artists as Elvis Costello, Sarah McLachlan and Heather Nova. What Became of Rezso Seress? In fact, the story goes that when the song first became a success, Seress attempted to reconcile with the ex who inspired it. Shortly after, he heard that she had poisoned herself, and there was a copy of the sheet music of the song nearby (in other versions of the story, she left a note with just two words: "Gloomy Sunday"). Whether that’s true or not, Seress himself did commit suicide, in 1968, jumping from the window of a Budapest apartment building.